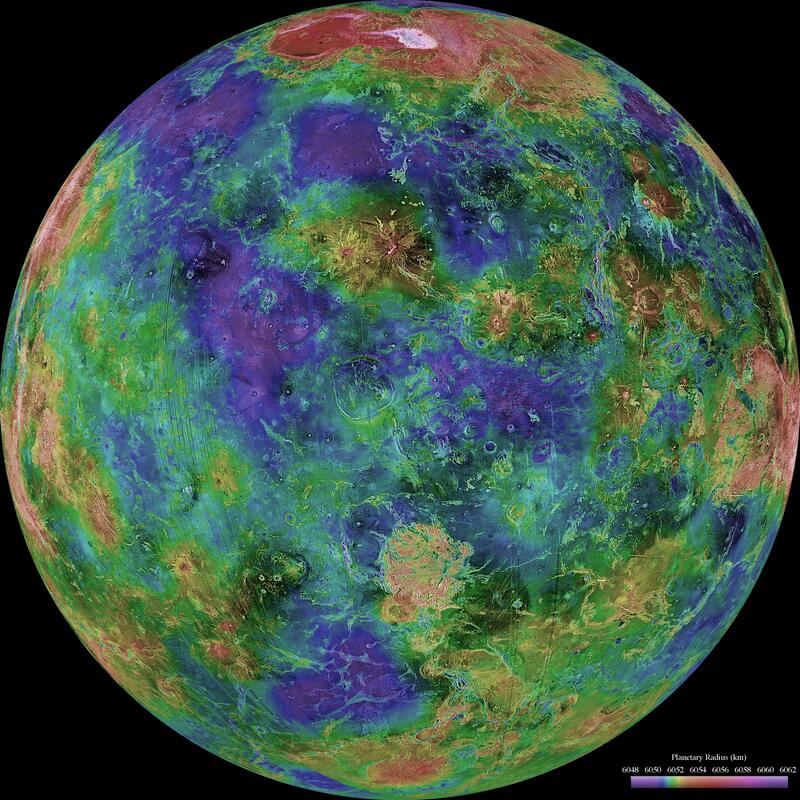 The hemispheric view of Venus, as revealed by more than a decade of radar investigations culminating in the 1990-1994 Magellan mission, is centered at 0 degrees east longitude. 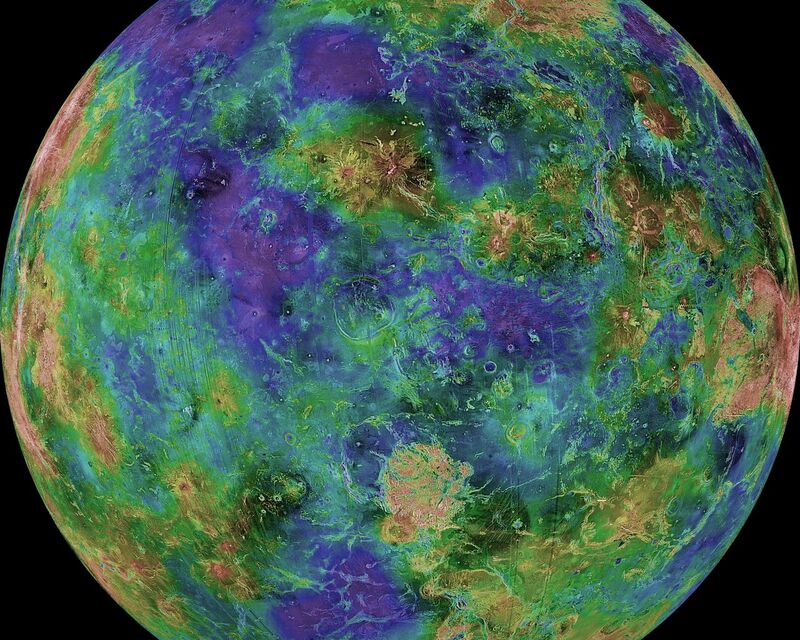 The Magellan spacecraft imaged more than 98% of Venus at a resolution of about 100 meters; the effective resolution of this image is about 3 km. A mosaic of the Magellan images (most with illumination from the west) forms the image base. Gaps in the Magellan coverage were filled with images from the Earth-based Arecibo radar in a region centered roughly on 0 degree latitude and longitude, and with a neutral tone elsewhere (primarily near the south pole). The composite image was processed to improve contrast and to emphasize small features, and was color-coded to represent elevation. 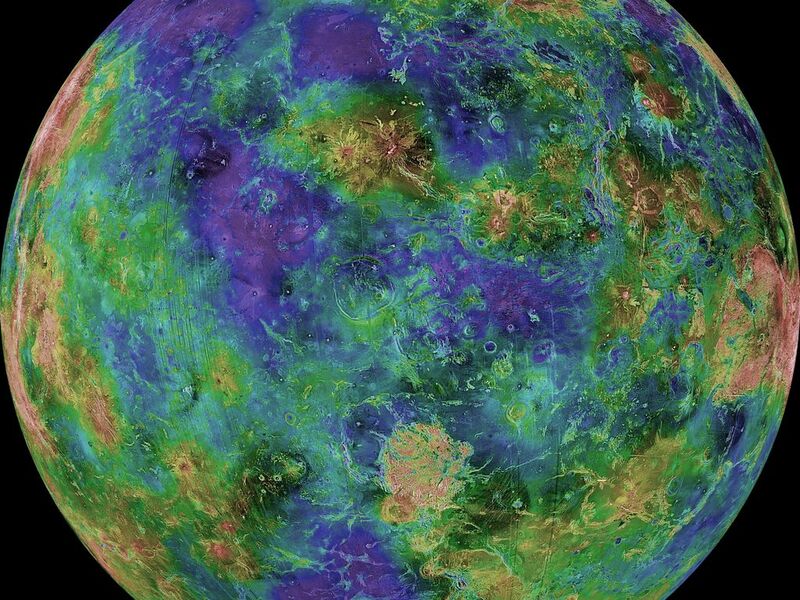 Gaps in the elevation data from the Magellan radar altimeter were filled with altimetry from the Venera spacecraft and the U.S. Pioneer Venus missions. An orthographic projection was used, simulating a distant view of one hemisphere of the planet. The Magellan mission was managed for NASA by Jet Propulsion Laboratory (JPL), Pasadena, CA. 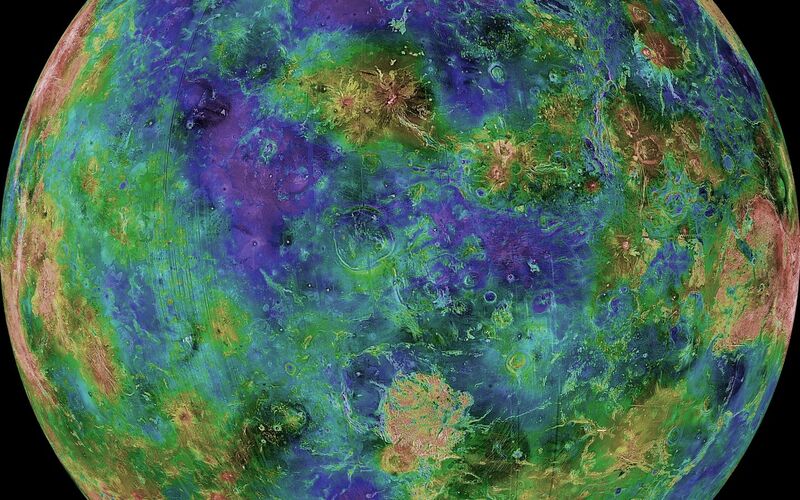 Data processed by JPL, the Massachusetts Institute of Technology, Cambridge, MA, and the U.S. Geological Survey, Flagstaff, AZ.